Republican Gov. Mike Dunleavy is seeking to oust former Democratic state senator Hollis French from his position at the top of a state agency that regulates the oil and gas industry. A two-page letter from Dunleavy last month charges French with “neglect of duty and misconduct,” and levies five charges to justify the governor’s bid to remove French from chairmainship of the Alaska Oil and Gas Conservation Commission. Dunleavy accuses French of typically working no more than four hours a day and pursuing “non-work-related interests” while in the office, among other charges. But the letter includes no supporting documentation or evidence. By law, commissioners can only be fired for “cause,” including “incompetence, neglect of duty or misconduct in office.” A hearing on Dunleavy’s charges was scheduled to start earlier this week and, if necessary, continue through Friday, with attorney Tim Petumenos serving as the hearing officer, according to the governor’s correspondence. Dunleavy’s letter was released Thursday to Alaska Public Media as part of a response to a routine records request for the governor’s correspondence. Dunleavy spokesman Matt Shuckerow confirmed the letter was written as the basis for “the commissioner’s removal from office for cause,” and referred further questions to the Department of Law. French, an attorney and onetime Cook Inlet roughneck whose term as commissioner runs through early 2021, declined to comment. Cathy Foerster, one of two other commissioners, said the agency declined to comment. The commission is charged with preventing waste and generally acting as a watchdog over Alaska’s oil industry. Two of its commissioners are paid $140,000 annually, while French, the chair, earns $145,000, according to budget documents. State law requires one commissioner to be a geologist and another to be a petroleum engineer. 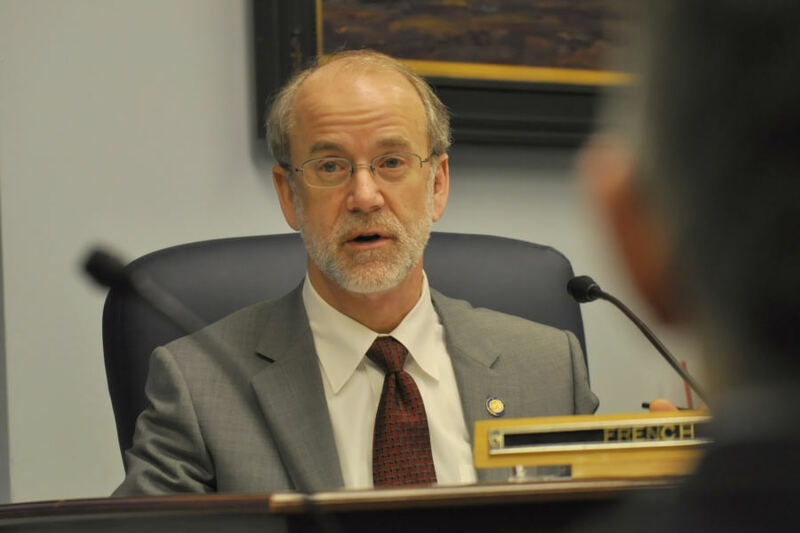 The third commissioner is a member of the public, and Alaska governors, who choose the commissioners, have occasionally been accused of awarding the jobs to political allies. Past commissioners include Sarah Palin, who boosted her profile after accusing one of her fellow commissioners, Republican Randy Ruedrich, of engaging in partisan political activity on state time. Former Gov. Bill Walker appointed French to his post in 2016. That was two years after French ended his candidacy for lieutenant governor, allowing Walker, an independent, to merge his campaign with the Democratic gubernatorial candidate, Byron Mallott. Mallott became Walker’s running mate and the “unity ticket” ultimately won the election, beating incumbent Republican Gov. Sean Parnell. The Legislature confirmed French by a vote of 34-25. Eagle River GOP Sen. Anna MacKinnon of Eagle River, justified her vote against French by accusing him of wrongly pushing for jurisdiction over a gas leak in Cook Inlet that took place in 2017. This story was co-reported by Nathaniel Herz and Elizabeth Harball of Alaska’s Energy Desk.